IMF chief Christine Lagarde praised the economic policies promoted by president Macri and rejected by vast sectors of Argentine society. Argentines welcomed International Monetary Fund (IMF) chief Christine Lagarde, who arrived Friday in Argentina for a G20 summit, with protests and roadblocks in Buenos Aires. Social movements, students, opposition political parties, and workers’ unions mobilize to reject the IMF once more. The government of president Mauricio Macri requested a stand-by loan in May in the midst of a rapid devaluation of the Argentine peso. 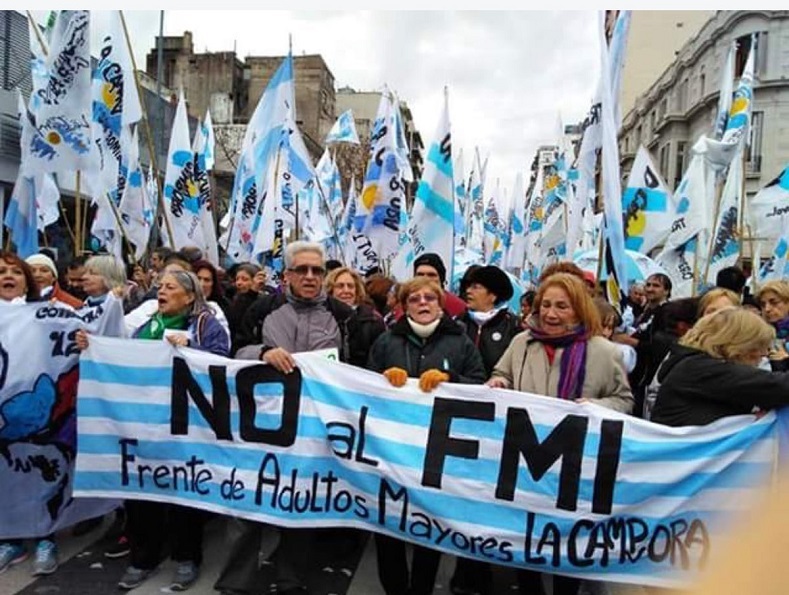 In June the IMF approved a US$ 50 billion loan, which was rejected by many groups in Argentina that associate the IMF’s return with an impending economic and financial crisis, like the one that ravaged the South American nation in the early 2000s. As people mobilized against austerity policies, Lagarde commended the Macri administration for “unequivocally” making progress to reduce the deficit. “We respect and support the policies the Argentine government is developing,” Lagarde affirmed. 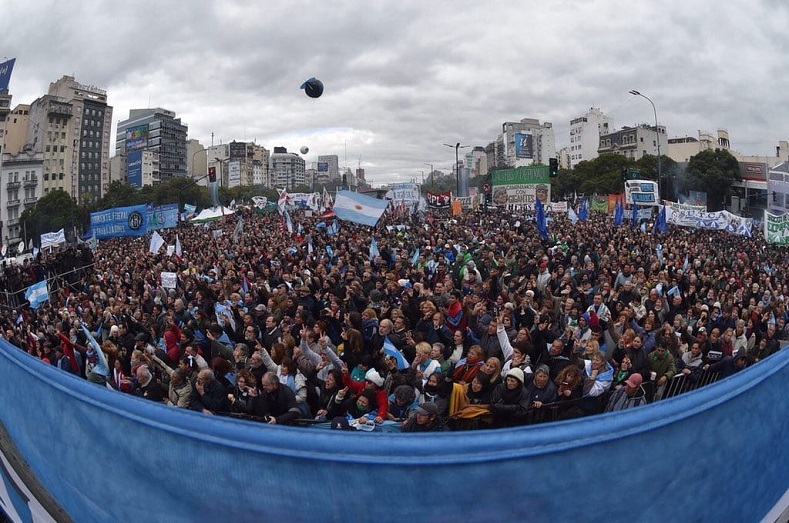 Macri is facing a deep political crisis as inflation continues to increase, austerity measures affect the most vulnerable, capital flight continues to worsen the economic situation, poverty rises, and a recent journalistic investigation revealed an extensive money laundering scheme by the ruling party coalition Cambiemos. 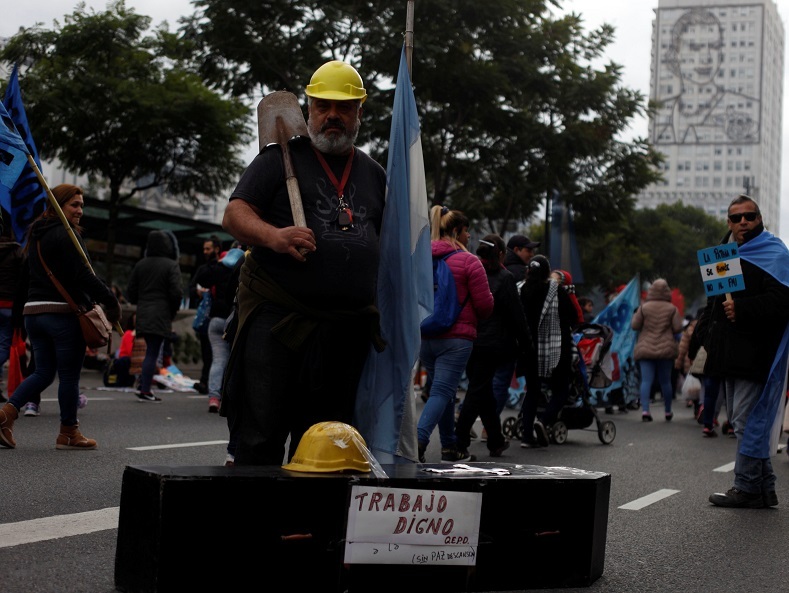 According to reports over 70,000 people have been laid off since Macri took power in 2015. Workers in the private and public sector have been affected. According to Argentina’s Political Economy Center, free-market policies that liberalized imports have changed Argentina’s industrial sector, especially the textile, food and beverage, metallurgy, and auto parts industries. 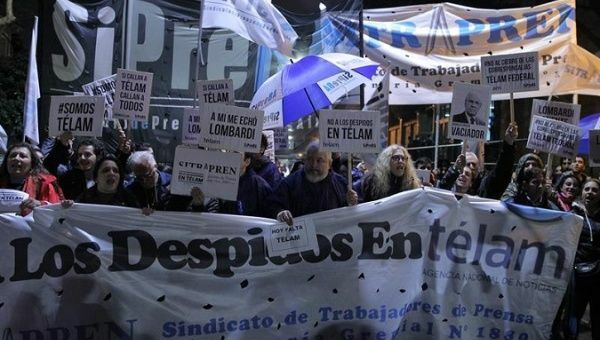 Layoffs in the public sector have been criticized by unions, social movements, and opposition politicians who argue Macri’s government has deepened the deficit by providing a series of tax cuts that benefit agro-exporters, foreign investment, and importers while reducing benefits for Argentina’s working class.